SPECTACULAR CATARACT LAKE & FALLS. 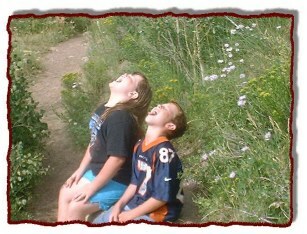 The Lower Cataract Lake trail is a family friendly hike. It is about 2 miles long and minimal incline. The whole lake is located in the Eagles Nest Wilderness so motorized vehicles are not allowed in the area. Parking areas are about 1/2 mile from the lake. DAY PARKING FOR THE TRAILHEADS IS FREE. Cataract Falls are visible from many spots along the trail around the lake. Halfway around the lake you will come to the creek where it enters the lake. A nice bridge crosses the creek. Although the falls are not visible from the bridge, many adventurous hikers have followed the creek up to the falls. Hiking to the falls from the bridge is not part of the Forest Service trail and not recommended, especially for the inexperienced. I have never hiked up to the falls that way but have been told that it is steep and unsafe. Many hikers have been known to slip and fall over the years. Since the area is in the Wilderness, no motorized vehicles are allowed, not even for rescue. If you are injured you will need tobe prepared to wait for help to hike in. The summer wildflowers are breathtaking. The fall aspens are spectacular. Fishing all around the lake is good with lots of spurs off the main trail to access the water. 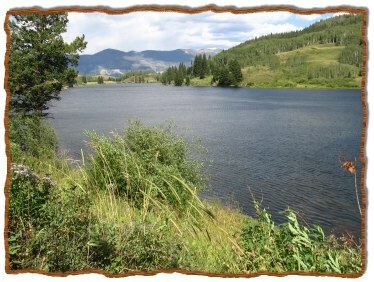 Lots of brown trout, rainbows and brookies are in the lake. Worms work great! Flies and lures will also attract the fish. The BIG browns are mostly at the far end of the lake, where there is a lot of vegetation in the water. Best times are early morning, late afternoon. During middle of day you are best to stay on south side of lake, in the shade. Do not forget your mosquito repellent during the wetter spring and summer months. A couple picnic tables are located at the near end of the lake and the water is perfect for a little wading for all ages. 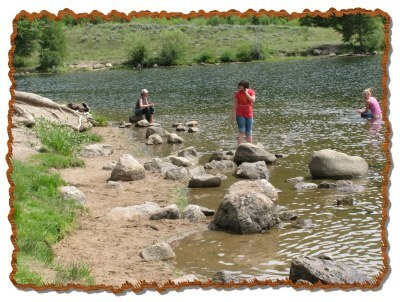 The area makes for a perfect mountain afternoon - picnic, hike, wade, fish, photo and relax. Directions: From I-70 take Exit 205, Silverthorne / Dillon, and travel north on HWY 9. Travel 16 miles north on HWY 9. Just after mile marker 118 turn left onto County Road 30, toward the town of Heeney. Follow County (Heeney Rd) Road 30 for 5.3 miles and turn left onto Cataract Creek Road (CR 1725). Continue for 2.5 miles to the end of the road to the parking area. Please do not block the gate. The trailhead starts at the gate. 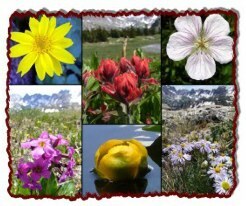 Trail Highlights • An abundance of wildflowers can be seen from mid to late June. • Cataract Falls are located on the southwest edge of Lower Cataract Lake. • There are several other hiking trails which begin in the same vicinity that can be used to make a loop of the higher elevation lakes. These trails are all rated MODERATE TO MORE DIFFICULT. • THIS IS A FEE AREA. • BECAUSE THIS TRAIL TRAVELS INTO THE EAGLES NEST WILDERNESS NO BICYCLES ARE ALLOWED AND DOGS MUST BE ON A LEASH NOT LONGER THAN SIX (6) FEET IN LENGTH! • NO CAMPFIRES ARE ALLOWED ABOVE TREELINE NOR WITHIN .25 MILES (440 YARDS) OF ANY LAKE WITHIN THE EAGLES NEST WILDERNESS. 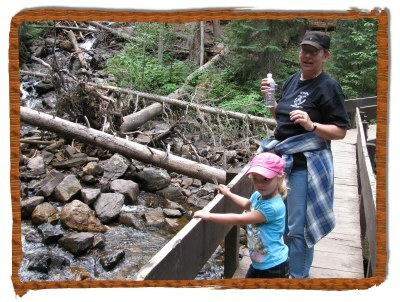 • This trail can be especially busy on weekends, so try and plan your hike during the week. • Hiking to the waterfalls is strongly discouraged because the area is hazardous due to the slippery and steep terrain. PACK IT IN - PACK IT OUT!! LEAVE NO TRACE!! 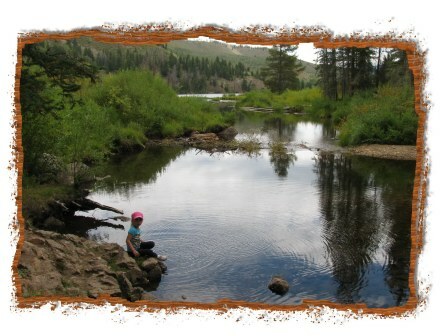 TAKE THE SURPRISE TRAIL TO UPPER CATARACT LAKE. Access:This trail begins from the Surprise Lake Trailhead (FDT 62). 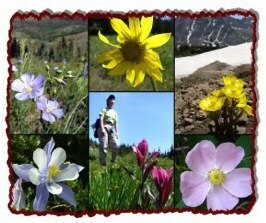 • An abundance of wildflowers can be seen from late-June through mid-July. 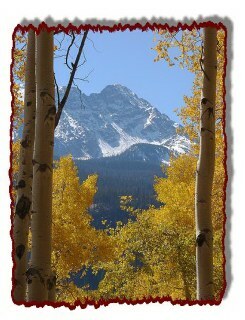 • The lower quarter of the trail is a pleasant walk through open aspen groves. However, the trail becomes increasingly more difficult as you climb in elevation through fir and spruce forest. 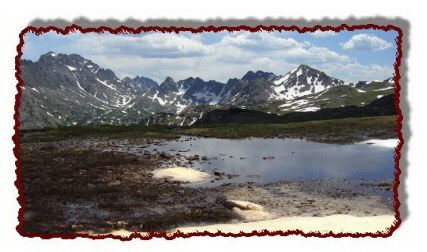 • Approximately 2.35 miles from the trailhead you will intersect with the Gore Range Trail (FDT 60). 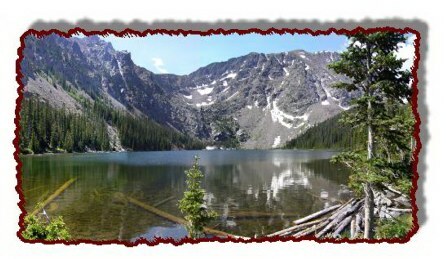 • Turn right (west) on the Gore Range Trail and approximately .81 miles further on you will arrive at the intersection for the Upper Cataract Lake Trail, which will be on your left (southwest). 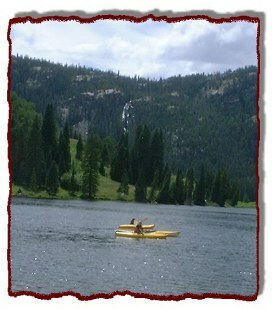 • Travel approximately 2.16 miles to Upper Cataract Lake, which will be on your left. Many views of the Cataract Creek drainage are available along this trail. 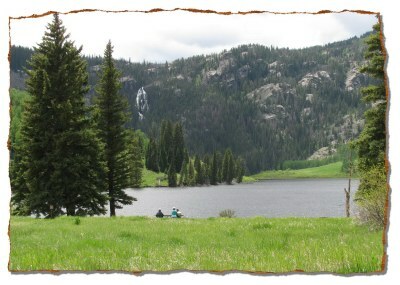 • Approximately 1.31 miles further on from Upper Cataract Lake you will come to Mirror Lake. Fishing is reported to be good in both of these lakes.